More than 2000 years ago the ancient Greeks examined the ratios of the sides of triangles. 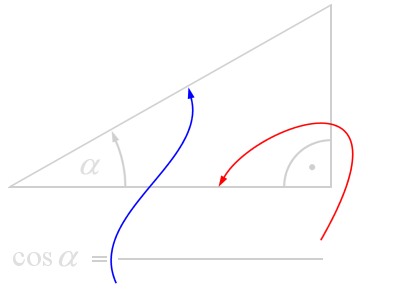 The most famous known equation is the “Pythagoras' Theorem” (american english: Pieter Goras ) : In a right-angle triangle, the square of the hypotenuse is equal to the sum of the squares of the other two sides. 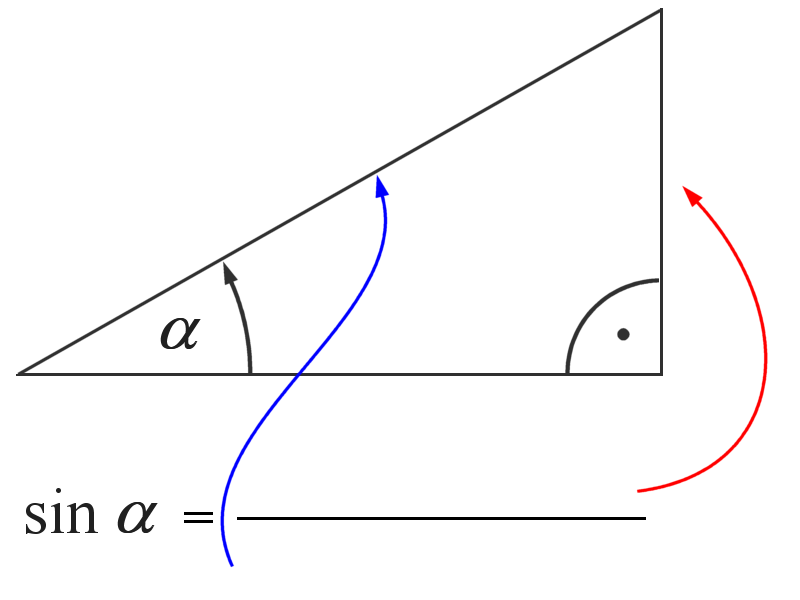 At the determination of the corners of the triangle the ratio of the length of the edge opposite the examined corner to the Hypothenuse as a “sine of the angle” was determined. The Cosine of the angle is defined as the length of the adjacent side (adjacent to the angle) divided by the hypotenuse.